The 2019 AGU-SEG Airborne Geophysics Workshop will be held at the Florida Atlantic University Davie campus in the Davie West building. 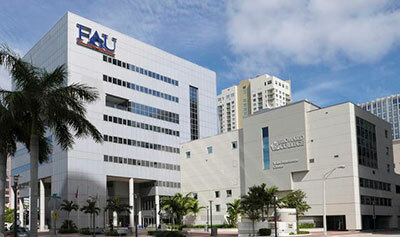 FAU Davie is located in just west of Fort Launderdale, and is easily accessible by the Miami International Airport and Fort Lauderdale-Hollywood International airport. Miami International Airport is approximately 30 miles/60 minutes away. Fort-Lauderdale-Hollywood International Airport is approximately 8 miles/20 minutes away.